Southern University (20-12) plays in the shadow of SEC territory but for at least one day it will be on equal footing with the Power Five conference. The Lady Jaguars have drawn a no. 16 seed in the NCAA Tournament and will face no. 1 seed Mississippi State (30-2). The Lady Bulldogs will host the first and second round games in the Portland Region, its game with Southern will be played on Friday. 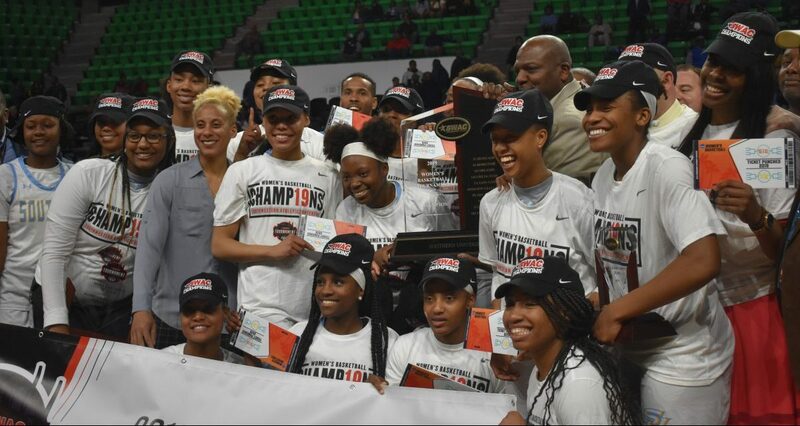 Southern won the SWAC Tournament Championship against Jackson State after finishing the year as regular season champs.